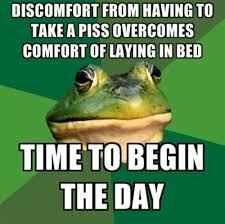 Every week, it’s the same. I finish a Saturday blog post absolutely sure that before another week goes by, there will be major Giants news to report. Up until about Wednesday, I still believe it. Starting Thursday, a feeling of dread and pressure starts to creep in: In two days I have to say something, and…I got nothing. Yet I still hope for an 11th-hour development. Matt Moore was traded on a Friday! On Saturday morning, I wake up and check Twitter, hoping against hope that something has shaken loose while I slept. Finally, I can delay no more. The Giants yesterday signed their five arbitration-eligible players (Will Smith, Sam Dyson, Cory Gearrin, Hunter Strickland, and Joe Panik) to about the money they were predicted to get. 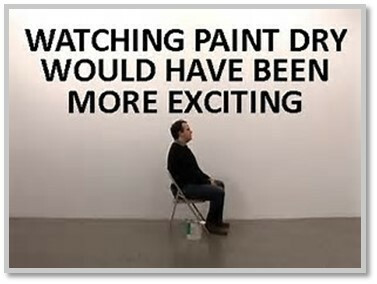 That’s even less exciting than last week’s blockbuster of Hector Sanchez being brought back on a minor league deal. But since four of those five guys are relievers and since I talked last week (when I was equally desperate) about possibilities for the Giants’ 2018 rotation, I’ve decided to riff on the Giants’ bullpen this time. We’ll take these three questions in turn. Will Mark Melancon and Will Smith be ready to contribute? 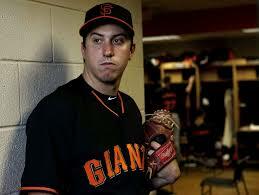 What will the Giants do about a lefty for the pen? Are the existing resources good enough to run with? The injuries to Will Smith and Mark Melancon last year sent the bullpen into a tailsp–…no, that’s not right. The Giants’ bullpen had been a tailspin since the second half of 2015, at least. The bullpen was the weak link even in the first half of 2016, when the Giants had the best record in baseball, and it fittingly and shockingly ended the season by blowing a 3-run lead in Game 4 of the NLDS. If you can stand it, I found this video compilation of every blown save the Giants had in 2016. I’m wondering what sadomasochist found the “inspiration” to put this together. Anyway, by comparison, the 2017 bullpen wasn’t as bad. They blew only 23 saves as a team, and two of them were on Opening Day! The bullpen’s ERA was 4.34, which was…way worse than the 2016 bullpen’s ERA of 3.65. Let’s go back to the blown saves…on the other hand, there are more save opportunities on a good team than on a bad one. The 2016 team had 72 save opportunities (converting 43, or 60%), and the 2017 team had 55 (converting 32, or 58%). I take it back. The 2017 bullpen was worse than the 2016 bullpen. It just wasn’t as obvious as the Achilles heel that was the 2016 version–but only because everything else about the 2017 team was bad, too. However, a healthy and effective Melancon and Smith would instantly improve the 2018 bullpen. Both are reportedly on track to be ready for Opening Day, though Smith will be on a workload limit (no more than two days in a row) until midseason. Here’s an update on Smith’s recovery and time line. 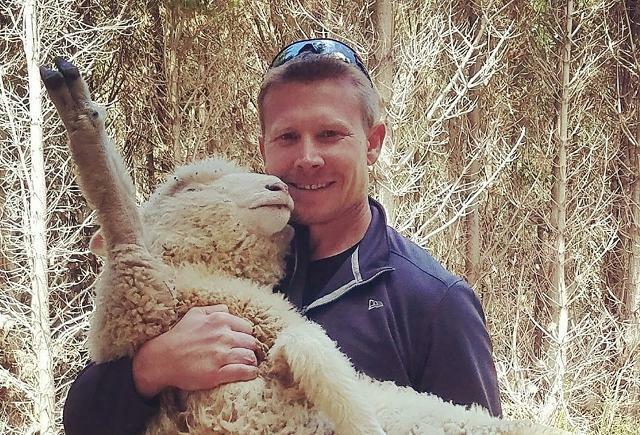 Mark Melancon making out with a sheep in New Zealand. Who will the second lefty be? The Will Smith injury was a huge blow to the 2017 bullpen. 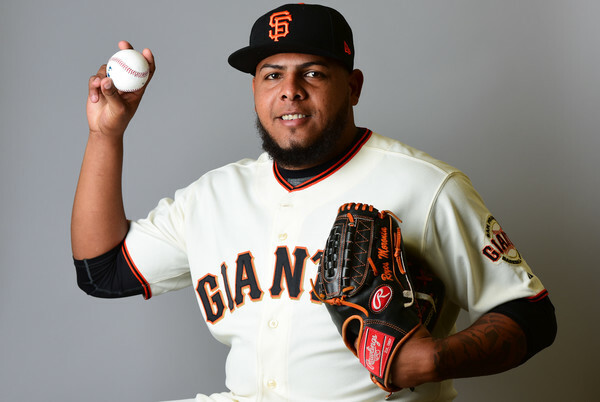 Not only was he expected to be a reliable workhorse who could handle entire innings in the style of Jeremy Affeldt, but he’s also a lefty, and most bullpens need at least two. So they didn’t have their #1 lefty. Nor did they ever have a #2 lefty. Ty Blach started the season in the bullpen but was quickly in the rotation when Bumgarner had his infamous dirt bike accident. Steven Okert and Josh Osich took turns going back and forth between AAA and SF and they were pretty much both awful. For some odd reason, the Giants didn’t give D.J. Snelten, a lefty who had a very nice season in AAA and who was about to be added to the 40-man roster, a September call-up. (Snelten was ticketed for the Arizona Fall League, so they might have just wanted him to have a break, but arguably it would have been more useful to give him a little bit of major league experience and take a closer look at him.) Just one of many strange decisions made by the Giants last year. Assuming Smith is ready to go as the #1 lefty this year, the #2 options remain the same: Blach, Osich, Okert, and Snelten. 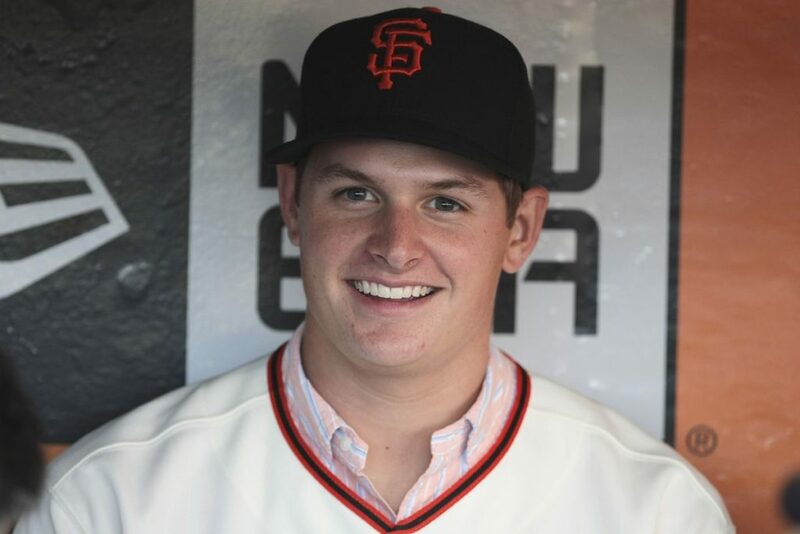 With Matt Moore traded, I assume Blach will get a chance to compete for a starting job in spring training, but if the Giants end up going with two of the other current leading options (Stratton, Beede, Suarez), it’s probably Blach. I hope they take a long look at Snelten, even if he goes to AAA at first, because I’m pretty much O-ver the O-twins. Do they have enough options in-house to get by? 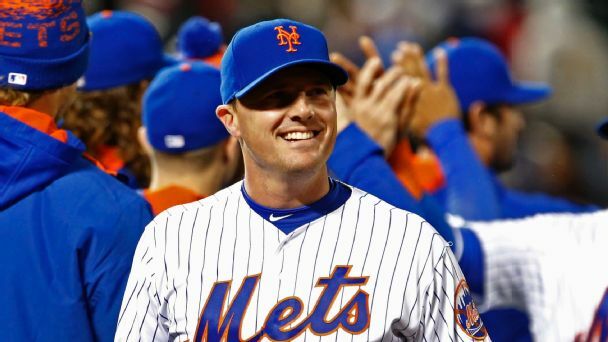 At the Giants’ season-ending autopsy–I mean, press conference, Bobby Evans listed three offseason priorities in this order: (1) improve the defense in center field (2) get an everyday third baseman and (3) strengthen the bullpen. (1) is half-done because they made Denard Span disappear. (2) is done. (3) seems unlikely at this point. The Giants still have bigger problems (the outfield) and not many resources to work with. The smart bet is that they will go with in-house resources rather than signing a free agent or trading for a reliever. There might be a couple minor league deals with spring training invites that we don’t know about yet. But for now let’s evaluate based on what we do know. There are other guys on the 40-man roster (Dan Slania, Roberto Gomez, Tyler Herb, Joan Gregorio, Pierce Johnson), but I don’t see any of them as realistic options to displace those four guys on the depth chart. From here, on January 13, Kyle Crick and Julian Fernandez appear to be competing for that last spot. Fernandez was the Rule 5 draft pickup, and it was a bit of a head-scratcher when the Giants took him. He’s never pitched above A ball (SAL), so it seems unlikely that he’d jump three levels and make a major league roster. I take it he’s a wild fireballer in the mold of Ray Black, but unless he’s just lights-out impressive in camp, I hope the Giants just eat the money and send him back to–where did he come from again?–the Rockies? Kyle Crick worked his way up through the system, was one of the few bright spots on the team last year, and earned that spot. Moronta spent much of last year in AA, then jumping to AAA and to the Giants in September, so it shouldn’t hurt him to go back to Sacramento until he’s needed. It’s a good thing to have a bunch of 40-man relievers you can move back and forth over the I-80 corridor. Moronta was sent home for the winter with orders to slim down. It will be interesting to see what he looks like when camp opens in a few weeks. Derek Law is the difficult case. After a very strong rookie year in 2016, he started 2017 as the primary set-up man to Melancon. He was a fill-in closer in May during Melancon’s first DL trip, and he converted 4 of 4 save opportunities during the only really good stretch of play the Giants had all year (they won 8 of 9). But by June he’d been demoted to AAA and did not return until September call-ups. We were all so miserable by September that maybe we didn’t notice that Law actually pitched pretty well: 7.1 IP in 10 games, 3.68 ERA, 8 Ks, average against .192, WHIP of 1.09. But he was such a big disappointment the first half of the season, and Crick basically grabbed the opportunity and took his spot, and Moronta’s an intriguing option, too. Did Law do enough to get himself back on the team’s radar? My prediction on January 13: That final spot belongs to Kyle Crick. Fernandez goes back to the Rockies and the other guys go to AAA. Is it enough, though? Well, it could be. If you look at the names and think about their repertoires and styles, it’s actually a pretty good mix. You have proven closer Melancon, hard-throwers in Dyson and Strickland and Crick, Gearrin with his nasty offspeed stuff, and wily get-it-done lefties in Smith and Blach. It’s a fairly experienced bunch, too, with Crick being the only real newbie (and he spent half the season with the Giants). I’ve seen worse. Could it be improved if the Giants had money to spend? Yes, but they don’t. So we’ll hope for the best, and maybe the new pitching coaches will bring a different perspective that will help, too. Might as well be optimists on January 13, right? So that’s it. My way-too-early bullpen roundup. No, these are not my picks for My25ManGuys™–too many things could still happen in the next couple of months. Next Saturday I’ll be visiting the in-laws in Long Beach with no computer and with spotty wifi, so I’ll do my post on Sunday after we’re home. Surely by then…nah. This Hot Stove season is so cold that even the big news of the week–Gerrit Cole traded to the Astros–turned out to be #FakeNews. Now Jon Morosi of MLB.com cheerily predicts in this article that the passing of the arbitration deadline yesterday will finally get things moving. Didn’t they also say that about the Stanton/Ohtani sweepstakes, the Winter Meetings, and the holidays? I’ll believe it when I see it. Lefty out.